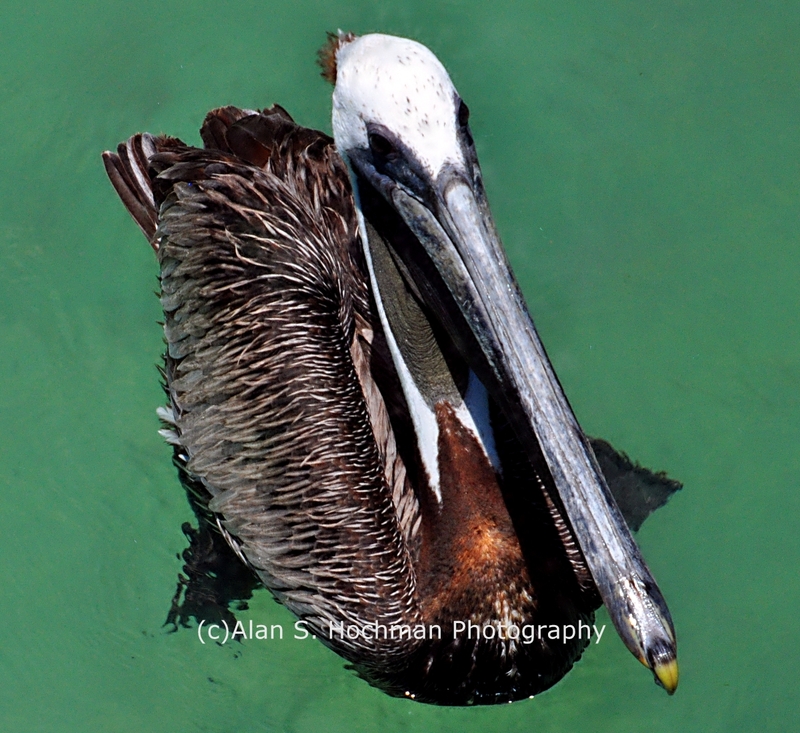 This shot of a Brown Pelican was photographed in Islamorada, located in the Florida Keys. This bird was captured using a Nikon D90 camera body attached to a Tamron 28-300mm lens. Unique among the world’s seven species of pelicans, the Brown Pelican is found along the ocean shores and on only a few inland lakes in the southwestern U.S. It is the only dark pelican, and also the only one that plunges from the air into the water to catch its food. While the Brown Pelican is draining the water from its bill after a dive, gulls often try to steal the fish right out of its pouch. They sometimes even perch on the pelican’s head or back and reach in. The pelican itself, however, is not above stealing fish from other seabirds. It also follows fishing boats and hangs around piers for handouts. Unlike most birds, which warm their eggs with the skin of their breasts, pelicans incubate their eggs with their feet. They hold the eggs under the webs that stretch from the front toes to the hind toe, essentially standing on the eggs to warm them. This peculiar incubation method made them vulnerable to the effects of the pesticide DDT. The DDT made the eggshells thin, and the incubating parents frequently cracked their eggs.